Offering the children a Liturgy of The Word, which is suited to their age and adapted to their stage of development, can become one of the key ways of helping them grow in faith. The Children’s Liturgy is a real and positive route to help the children develop into real and informed Christians. It also illustrates to them that the word of The Lord has a natural and important place in their daily lives. By allowing the children the opportunity to participate at their own level, to be active, and to be involved, helps to build a healthy relationship between The Liturgy and their daily living. It also provides the children with a strong base for sincere and lasting faith. The children gather in the Church and begin the Mass with everyone else. After the Sign of the Cross and the Greeting, the Priest calls the children forward, presents them with a Bible and the adult leaders process with the children to the “upper room” The children come back into church at the offertory where they display what they have done and then some of them take part in the Offertory procession. If you would like to help with this important ministry, please let Father or Veronica know. Following a mandatory PVG check We will welcome you in joining our team of dedicated volunteers. On the First Easter Morning Mary Magdalene goes to the tomb where Jesus’s body has been laid, but the stone blocking the entrance has been moved. She thinks that someone has moved Jesus. She runs back to fetch Simon Peter and John and tell them that Jesus has gone. When they arrive at the tomb they see that it is empty except for the cloths that the body had been wrapped in. The disciples realise that Jesus has risen from the dead and they remember all He told them. Jesus is risen from the dead, giving new life to us all. 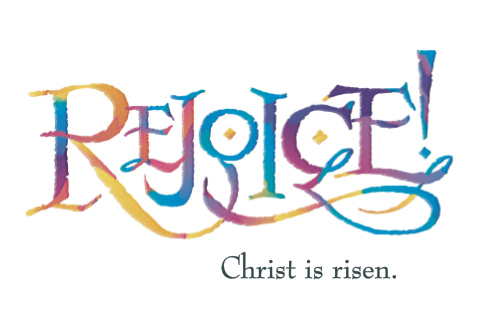 How does it make you feel to know that Jesus is risen? How does it make you feel to know that Jesus is risen? Easter is a time of great joy and celebration. It is also a time of great hope, because the resurrection of Jesus shows us that nothing is impossible to God. It is a day for fresh starts and new beginnings, knowing that Jesus is risen from the dead and will always be with us. And so today we are filled with joy and we look to the future with hope. Hope is not just about wishing for things to get better without doing anything about it. A person who has hope lives differently. We live differently because we are trying to change the world, so that it becomes a place where everyone has the chance to live free from poverty. Even when it is very difficult, we cannot give up, because we have hope. Think of something or someone who makes you joyful this Easter. 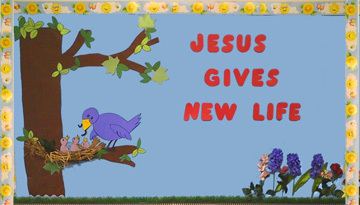 Risen Christ, we give thanks for the new life you have given us. Show us how to live in hope and make a change, so that all people may live in peace, free from poverty. Amen.